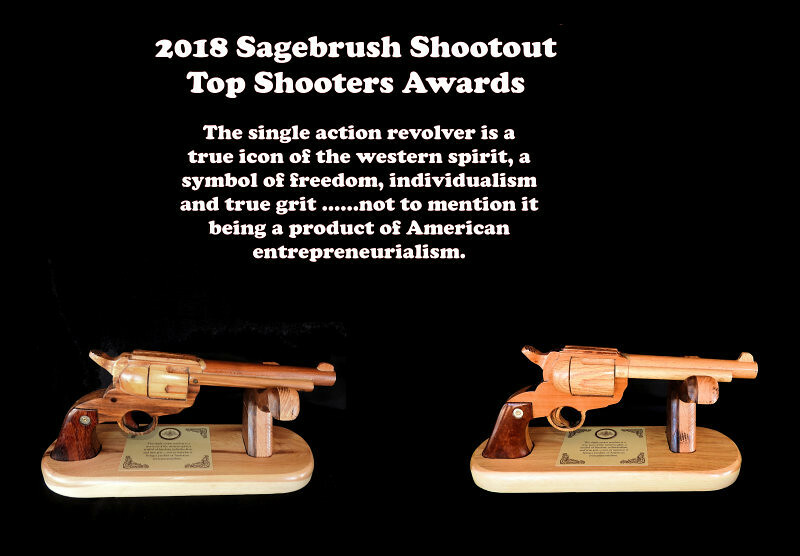 Sagebrush Shootout will be happening this April 14th and 15th, 2018. 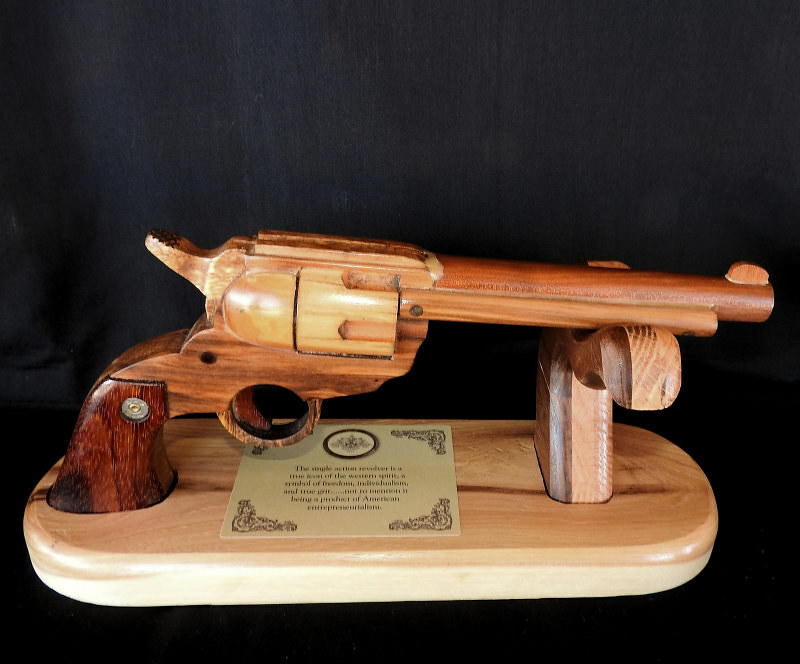 This year the top shooter awards are made of wood and very impressive. The pistols are removable so you can hold the pistol in your hands much like a real pistol. A closer view of the award.